MY AUNT WITH MY HUSBAND BILL. I have just come back from visiting my elderly aunt, who has lived by herself since her husbands death many years ago. She is fiercely independent, doesn’t want to go into a retirement home and doesn’t want to be a burden on anyone. These days she is struggling with the day to day tasks of getting about. It takes me two days to drive down to see her, but she won’t come and live with us or move closer. She says she doesn’t want to live in the country but I suspect she doesn’t want to be a burden on my husband and I and try as I do to convince her she would be a gift not a burden she won’t budge. (There is a lesson for all of us here on the importance of not being too independent, for we could all benefit others by accepting our interdependence.) I respect her greatly so for the time being this means that I can’t see her as often as I would like but we phone her every night and the love we share is beautiful. I share this beautiful ladies love with a man I barely know his name is Alex, a hard working Maori man, who lives in the same block of units. 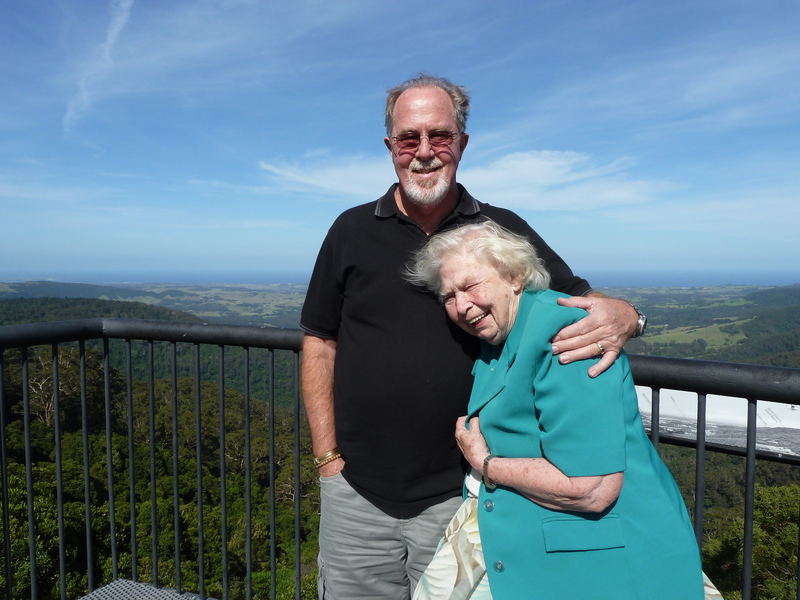 He came to Australia from New Zealand many years ago, his mum, like mine has passed on and he has adopted my aunt. He drops in the daily paper on his way home from work, fixes the television just about nightly and cooks extra dinner so he can give her some if she needs it. Alex is now family to me, I love him dearly. I really don’t know how I would sleep without knowing he is down there if she needs help. When we can’t contact her on the phone we ring his mobile and he goes and checks she is alright. He is very much the loving son and as she is like a mum to me he has become my brother. My aunt has two daughters, one lives about two hours further north of me the other lives less than an hour away from my aunt, neither visit or regularly ring, they are missing out on so much and I feel sorry that they are but I am so glad that a man from another country has the awareness that it is by giving unconditional love that we are loved and become true family to each other. We are all related but we choose how we relate and I sometimes feel that in Australia we have lost our culture of connectedness. Many are too busy with worldly business stuff and acquiring things that are impermanent and sadly miss out on life’s greatest joy, loving and being loved. Maori culture seems to know more about love and the true meaning of family. My husband today saw a young girl curled up and shivering in a bitterly cold bus shelter. He didn’t simply say poor thing and walk on by. He stopped and was able to help her by buying her a warm coat, a meat pie and making sure she had the bus fare to get her to her sisters. It cost him $50 but as he said to me if it was one of my kids I would want someone to help them. It is the old bible rule “Do unto others as you would have them do unto you!” I love my husband and I admire the fact that from a hard life he has learnt compassion. Each day we are given so many opportunities to enrich our lives with true joy, the joy of giving. It may just be a smile , a friendly word, a recognition of the person serving you at the supermarket check out as a real person doing a tiring repetitive job or someone who just looks like they could do with a little help but it is the small things that can connect us a and make us fee valued in a big busy world. Stop being busy for just a moment, break down the barrier and connect! You have nothing to lose, even if the person doesn’t smile back they will notice and perhaps smile at another and you will have lost nothing but you will gain joy, joy in knowing you care and are doing all you can to make this world a more caring, loving place. Joy grows it isn’t fleeting like happiness, happiness is an extreme as is unhappiness there is a lot to be said for contentment and the quiet inner joy that comes from connectedness. It is this that enriches us and allows us to keep on giving. Enjoy the journey and the love fellow travellers share today.